Previous-generation iMacs were able to drive both the internal and an external display at the same time, but the newly released iMacs are capable of driving two external displays simultaneously – in addition to the built-in display – thanks to the inclusion of Thunderbolt ports. Apple confirmed to GigaOM’s Darrell Etherington that the new 27-inchers’ two Thunderbolt ports (21.5-inch models only have one) can drive a dual external display setup. Now, using two Mini DisplayPort adapters plugged in to the 27-inch iMacs Thunderbolt ports, users can simultaneously output to two monitors in addition to the main built-in screen of the iMac. 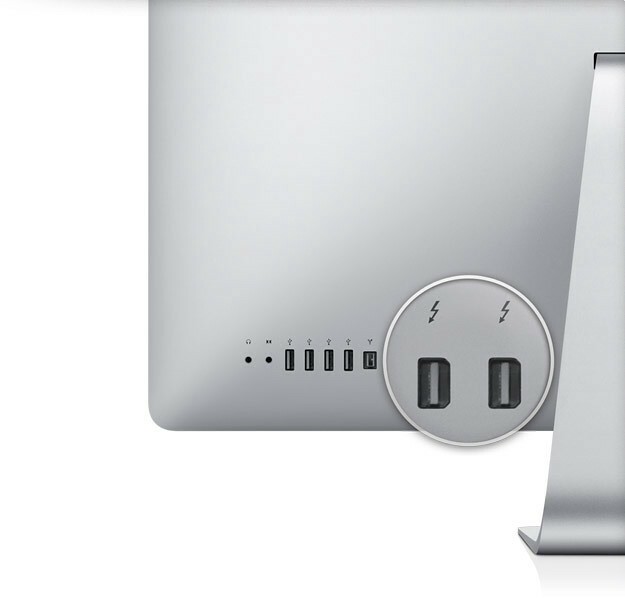 It won’t necessarily clog up your Thunderbolt ports, either, since the tech supports daisy-chaining. That means you should be able to connect to Thunderbolt-compatible storage and then on to a display after that, too, without any loss of quality. Macrumors was able to verify that the Thunderbolt ports can still make the iMac an external display for Blu-ray or video gaming or a cable box. An Apple sales representative has confirmed to us that the new 27-inch models do continue to support the feature through the new Thunderbolt ports. 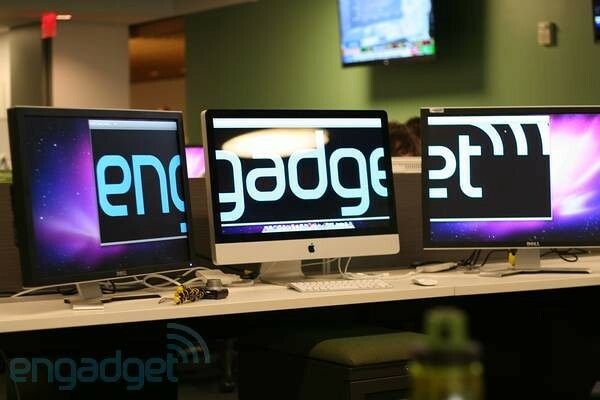 Engadget tested out a dual external monitor setup, seen below. Apple also offers touchpad options allowing you to replace the included MagicMouse with either a Magic Trackpad or a wired Apple Mouse or go with both wireless MagicMouse and Magic Trackpad for $69 extra. Also, MacStories explain that you can order a solid state drive in the second drive bay that will boot your operating system. MacRumors also notes that Boot Camp upgrade is available for new iMacs that also addresses issues with Japanese and Korean keyboards on early 2011 iMac.